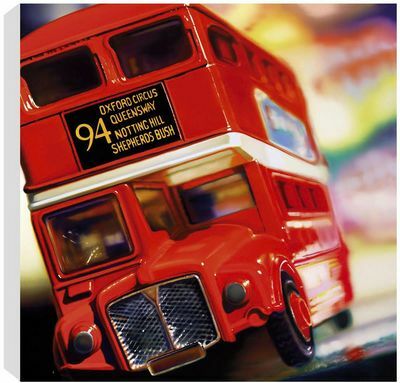 Artist Sarah Graham: Chupa Chups, London Buses & Cola Bottles! 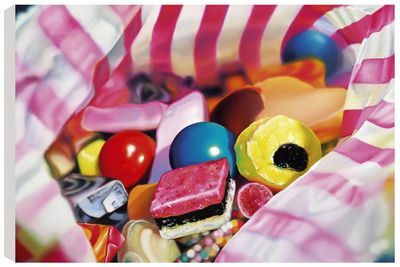 Sarah Graham is a realist artist who paints big canvases featuring toys and sweets. Inevitably, the end product of her work is very bright and colourful, and usually looks good enough to eat!!! Sarah says that she has always been interested in art since childhood & fell in love with her oil paints bought by her dad when she was 8 years old. For her, art was a natural talent, one of the few subjects she didnâ€™t have to work hard to achieve her grades. 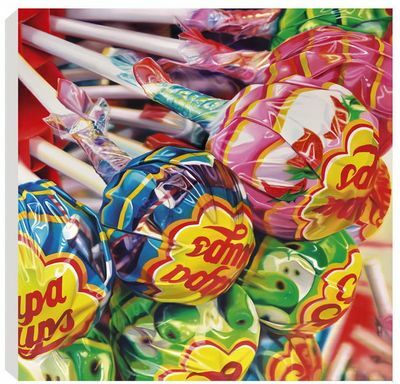 Did Sarah Graham identify a gap in the market by choosing to paint toys and sweets? (something not seen in this format before) Or was it the nostalgia of remembering childhood experiences? She says that her inspiration is simply â€˜coloursâ€™ & the use of these in her work and interesting textures she can achieve with oil and other mediumsâ€¦as well as being a big kid at heart of course! Some people, on first seeing her box canvases, believe they are a clever Photoshop creation but they are not, they are limited edition prints from her original paintings! 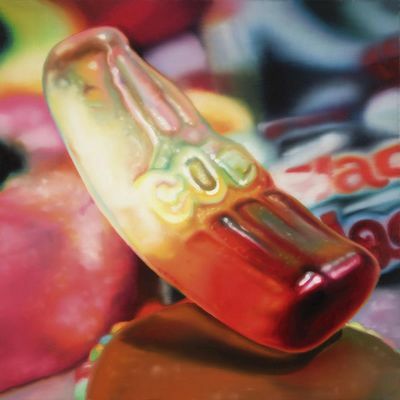 This just shows what a talented artists she is, so good that it looks computer generated and makes a picture of a cola bottle look so real that you think you could pluck it from the canvas and eat it!!! 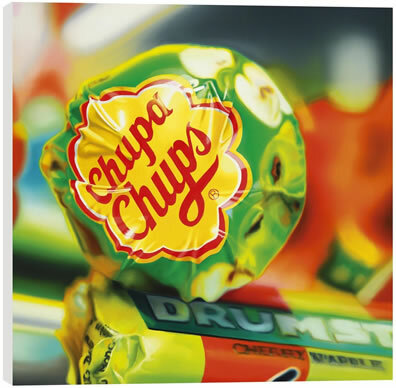 Who would have thought pictures of toy cars and Black Jacks & Chupa Chups would sell? Yet it has sold, very well indeed in fact. 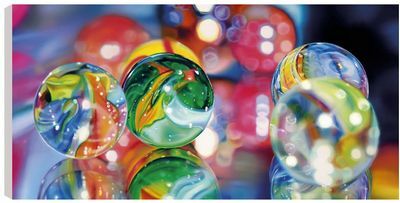 It is the nature of her work that has attracted so many fans and collectors, the realism, the vibrancy of colour and the fun subject mater that make Sarah Graham so popular.